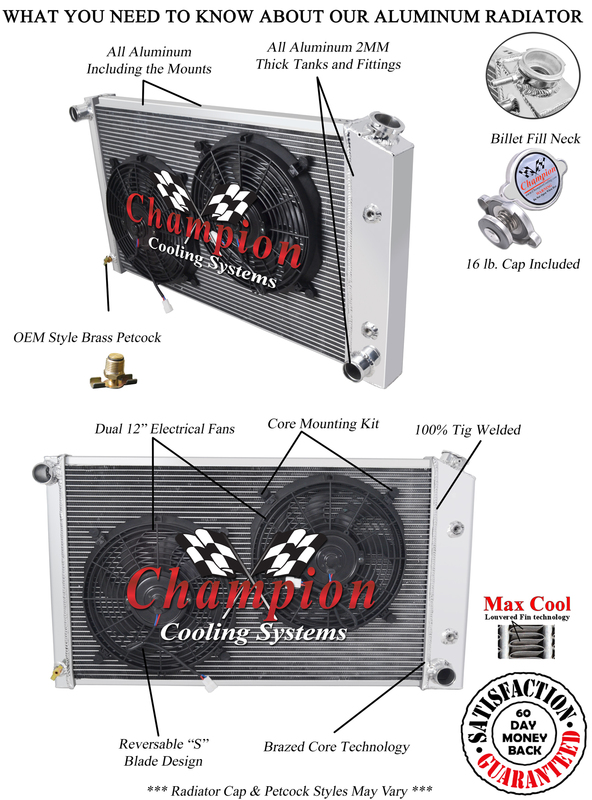 Click the button below to add the 83 84 85 86 87 Cutlass Supreme 3 Row Champion Radiator to your wish list. For 1978-88 Oldsmobile Cutlass Supreme3.8l L6, 260ci V8, 267ci V8, 305ci V8, 307ci V8, 350ci V8 Will Cool Up To 850hp You will not find a better guarantee anywhere on eBay! You could easily spend $600-1,200 for a 3 row radiator of similar quality. Buy with Confidence.